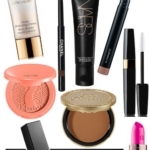 When I think of NARS, I think of two categories of makeup…lips and blush, in that order. 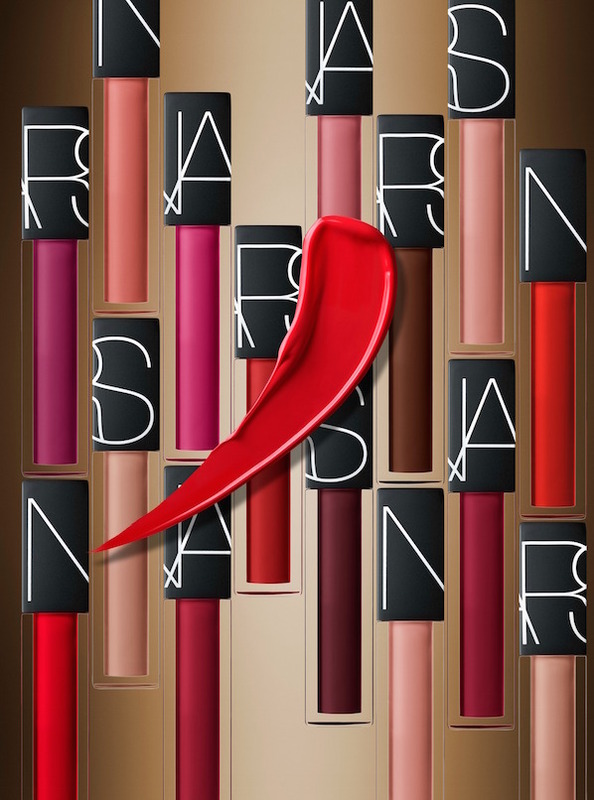 I look forward to any new products from NARS, but have been especially eager to try the Velvet Lip Glide. 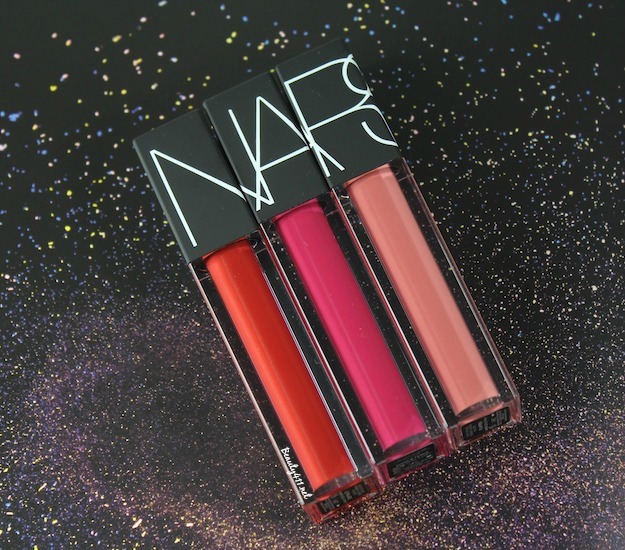 The Velvet Lip Glide blurs the line between lipstick and liquid lip color/gloss, yet retains the pigmentation and color payoff you’ve come to expect from NARS. Formulated with NARS Oil Infusion Complex, the Velvet Lip Glide is a very comfortable on the lips. 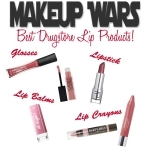 Not drying, no flaking, the color is very saturated and lasts for hours before you need to reapply. I tried three Velvet Lip Glide shades: Le Palace (deep cherry red), Danceteria (fuchsia) and Playpen (pink coral), which is my favorite. In terms of finish, Velvet Lip Glide applies as a satin, but drys down as a semi-matte. 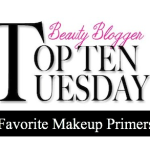 No special lip prep is needed, although the occasional lip exfoliation will enhance the look and wear of any semi-matte/matte finish lip color. I do prefer the feel of Velvet Lip Glide on my lips as compared to a liquid, matte lip color, which on me is too drying and looks flat. If you want to get a jump on holiday shopping, or just want a fantastic way to try a variety of Velvet Lip Glide shades, don’t miss the limited-edition Mind Game Mini Velvet Lip Glide Coffret ($45). I’d jump on that one! 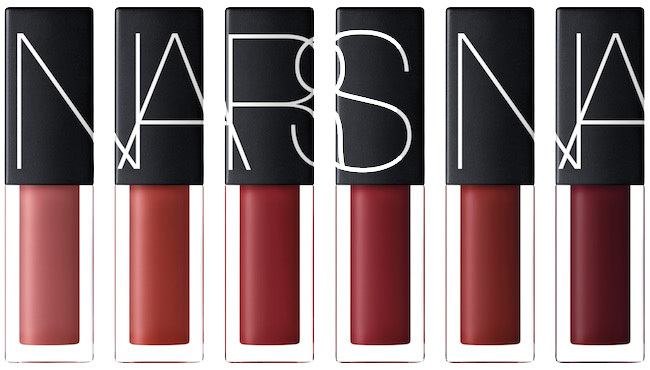 NARS Velvet Lip Glides ($26) are available in 13 shades and can be found in department stores, including Sephora, Nordstrom and at narscosmetics.com. Have you tried these yet?